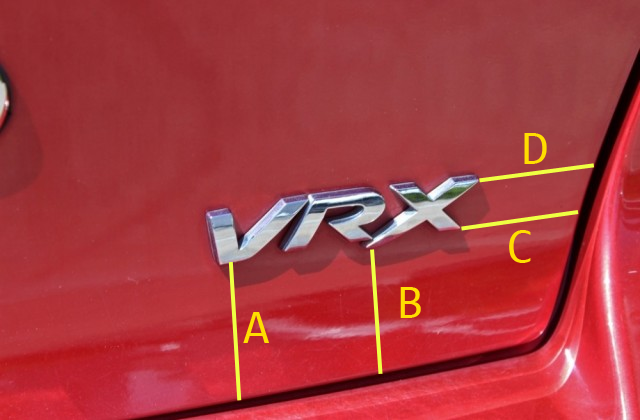 Looking for someone with a CJ VRX sedan and a good ruler to get some measurements of where the standard VRX badge is located on the boot. Ideally looking for a car that hasn't had the badges removed or replaced before. There might be something about it in the repair manual but I haven't got a copy. Hey Patch, I've got a VRX Sportback but it looks like you have the sedan. Mine also most likely has had the badges replaced before. This might help. Or more specifically this. The manual I have (MY11) has 38.0mm instead of 44mm, 59.0mm instead of 44.1mm & 40.1mm instead of 42.0 mm. 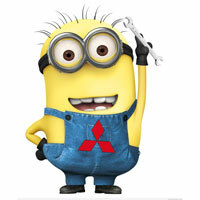 The RALLIART badge is the same, so I presume the VRX one is likely to be too. You might be able to transpose the above sedan dimensions but YMMV. Why not go badgeless? It's a common first 'mod' for people, remove model, MIVEC badges on sides and maybe even Lancer badge. Of course not for everyone but something to consider. Unless you have the base model I never saw the appeal of de-badging my car. 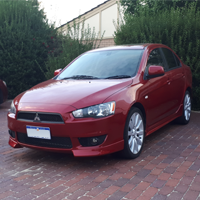 Car is currently totally badgeless, not totally sold on the look so want to put the Mitsubishi star and VRX badge back on. Dealership is not being as timely as I'd like them to be so looking for answers here.